Award winning sommelier, turned chef, James Brown creates contemporary international dishes paired with exquisite wines from around the world. The menu changes daily according to what fresh ingredients are available in the local market. 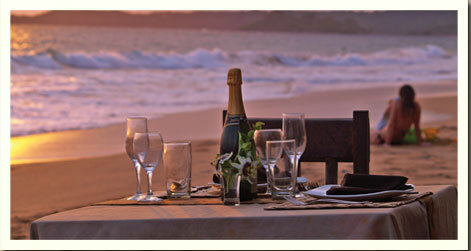 Parties of four or more who are not guest of Safari Beach Lodge, please make reservations in advance.